Kelly Ruiz ~ Amaral and Associates Real Estate, Inc.
Hello and thank you for visiting my profile page. 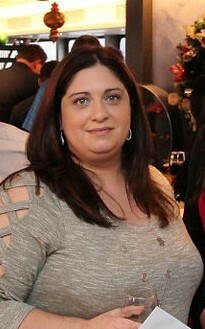 My name is Kelly Ruiz and I am the Regional Operations Manager here at Amaral & Associates Real Estate. I’m thrilled to be a part of this amazing company and all that the Amaral Advantage has to offer. I have been in the Real Estate industry for over 15 years now and have worked with many great professionals! I’ve learned the ins and outs of Real Estate Sales as well as Management & Operations. I began my career as a personal assistant to a Broker/Owner and quickly advanced to become the office Administrator. Over the next several years, my experience & knowledge undoubtedly increased and I held titles such as REALTOR®, HUD/REO Administrator, Office Manager, Corporate Administrator and currently Operations Manager. My career has most certainly expanded my outlook on the industry and the many aspects of Real Estate. From traditional listings/sales to Short Sales, Foreclosures and REO sales, I’ve been fortunate enough to work in all areas. The support and focus we provide with the Amaral Advantage is like no other. Our associates and clients come first! Quality not just quantity is what makes a successful business and we are fortunate to have that here at Amaral & Associates Real Estate. We look forward to helping you achieve your Real Estate goals and hope to hear from you soon. REALTORS® interested in learning more about the Amaral Advantage please feel free to contact me directly at 508-858-9884. You’ll be glad you did!